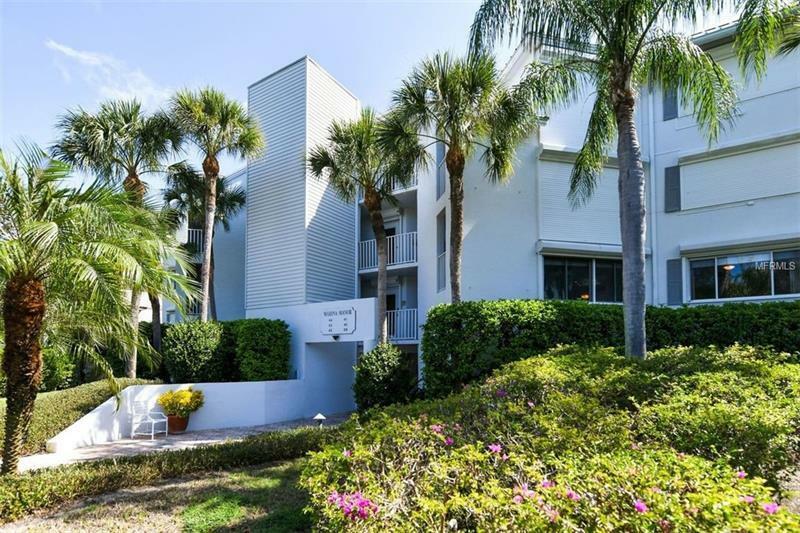 Spacious waterfront maintenance-free living at the Boca Grande Club's Marina Manor provides panoramic views of the historic railroad trestle and Gasparilla Sound. Private locking elevator entry into an expanded single level 3 bedroom 3 bath unit.Elongated 16' x 7' kitchen overlooks both the dining and living spaces. Exceptional master bedroom wing with water views and bathroom with double sinks and walk-in shower. Secure road buffering garage for safely storing your vehicle golf cart and beach toys. Club amenities include a member-only restaurant beach 3 pools and tennis. If you are a boater there are slips available for rent or purchase out over the adjacent Uncle Henry's Marina. Offered at the best price...Boca Grande Club has a mandatory one time membership initiation fee of $10000.